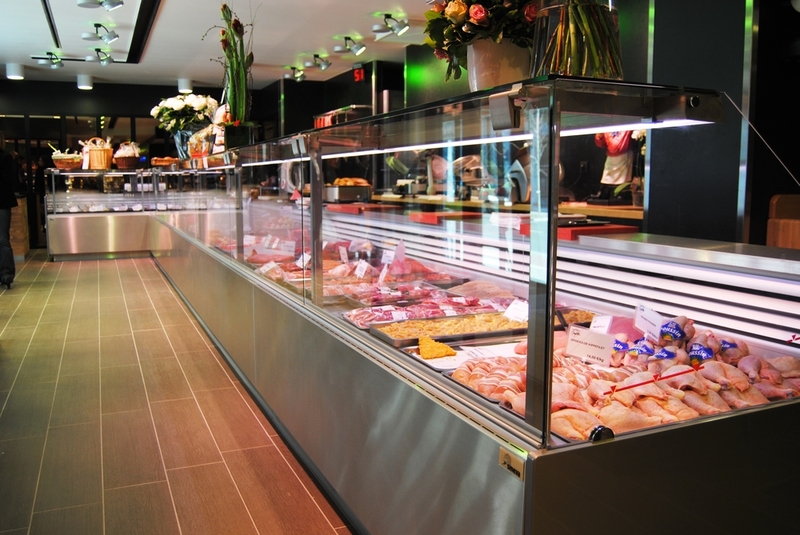 The Smeva Vision is Smeva’s money-generating butchers serve over. 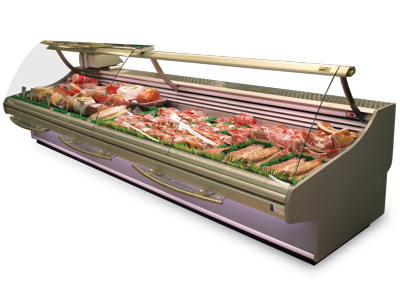 Various types of fresh product are displayed under optimal ambient conditions. The Smeva Eurosafe cooling system guarantees excellent product temperatures in combination with an extremely low level of dehydration (just 0.73% per day with the WeightSaver, a patented humidification system). This humidification system keeps your meat looking it’s best for longer and helps to improve your sales. Also due to the low dehydration it is possible to keep your product in the cabinet over night basically allowing you to use your cabinet as your coldroom. The integral coldplate makes cleaning particularly simple and cost effective. You reduce your labour costs and can extend your effective opening hours. The vision cabinet has been tested by the ECA Energy Technology List in the UK and found to the most energy efficient cabinet of all that were tested. Every vision cabinet is designed exactly to the end customers requirements. The cabinet can be made any length with any angle of corners required.